Serua’s bottom-up approach has set the benchmark for other provinces. Usually it’s a top-down approach where bureaucrats come down to make an assessment and draw up a plan. Commissioner Central, Josefa Seniwaitui Navuku. Family welfare is one of the priorities of a five-year plan submitted by the Serua Provincial Council. It becomes the first of 14 provinces to register its plan according to the Government’s Integrated Village Development Plan (IVDP) and the village Profile. While the details of the plan were not divulged, it is understood that most of the proposals revolve around improving housing and the basic needs of the villagers. This time it comes from the people. The Commissioner Central, Josefo Seniwaitui Navuku, praised Serua’s initiative when he opened the Serua Provincial Council meeting at Vunibau Village yesterday. He acknowledged the council’s progress in the coordination of its IVDP and Village Profile. Recognising its bottom up approach he requested the Vanua to be receptive to the top down approach that would be adopted by the Government due to national priorities and global commitments. Mr Navuku said a key to the success of this plan would be its effective implementation through monitoring and reporting. He said the province’s IVDP was aligned to the National Development Plan (NDP) implementation pathway and Sustainable Development Goals (SDGs). Mr Navuku reminded the council that in the IVRD not to leave anyone behind. “It should be progressive, vibrant and inclusive,” he said. He urged them to use their baseline as their reference to measure their progress. Mr Navuku stressed the important role of the turaga-ni-koro (village headman) as development coordinator. He said the turaga-ni-koro should have a support team to monitor and offer advice to him especially when he was the eyes and ears for development needs and issues for both the Vanua and the Government. 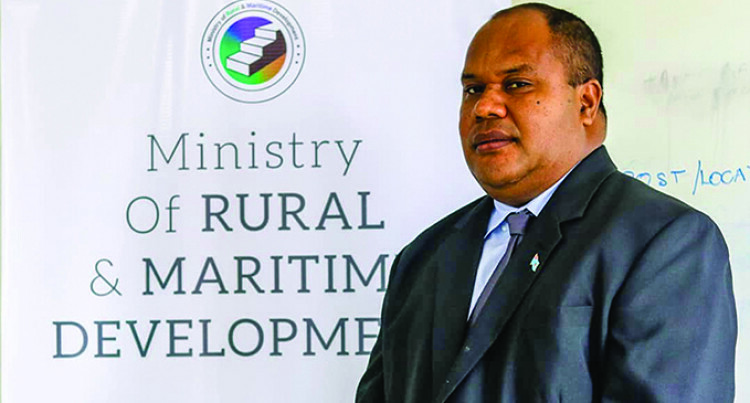 The Roko Tui Serua, Seru Ratukalou, said they would be making a submission to the Ministry of iTaukei Affairs for two project officers to monitor their IVRD. The province has four districts and 24 villages. Meanwhile, Mr Navuku yesterday urged the people of Serua to look after their elderly. He said the senior citizens were vulnerable and should be taken care of. He said they had made their contribution to the province and it was time that they were paid back for their good work. On education, he said it was the collective responsibility for all and not only the teachers. “You must prioritise education as in the future it will be good for the family,” he said. Mr Navuku also urged all villages to prioritise personal health and sanitation. After the opening of the meeting yesterday it was followed by a talanoa session where delegates made their presentation.